Alcuni ammoniti della “corniola” umbro-marchigiana aventi caratteristica di fossili guida. Ammoniti, un Viaggio Geologico Nelle Montagne Appenniniche (“Ammonites, a Geological Journey in the Mountains of Appennino”) can be ordered by email. This book covers various subjects related with the study of ammonites, such as biostratigraphy, environmental crises and evolution. The updated and codified taxonomic cards of the Apennine genera were originally inspired by the criteria used by Arkell et al. (1957) in their “Treatise on Invertebrate Palaeontology”. For a given genus, each single-page card includes nomenclature data, chronostratigraphic range, character descriptions (whorl section, coiling, ventral area, ornamentation, suture lines), rock and locality provenances of the samples, photographs and/or drawings of the most representative available specimen. More comprehensive cards on families and subfamilies are present as well. Federico Venturi has been the associate professor of Paleontology at University of Perugia (Earth Science Department), where he taught the Paleontology Course for Geologic Science and Natural Science Department. Nel 1982 è stato nominato professore Associato alla cattedra di Paleontologia e ha conservato l'incarico di ruolo fino al 2010, anno in cui è andato in pensione per raggiunti limiti di età. Negli ultimi 5 anni ha tenuto anche il corso di paleontologia per Scienze Naturali. 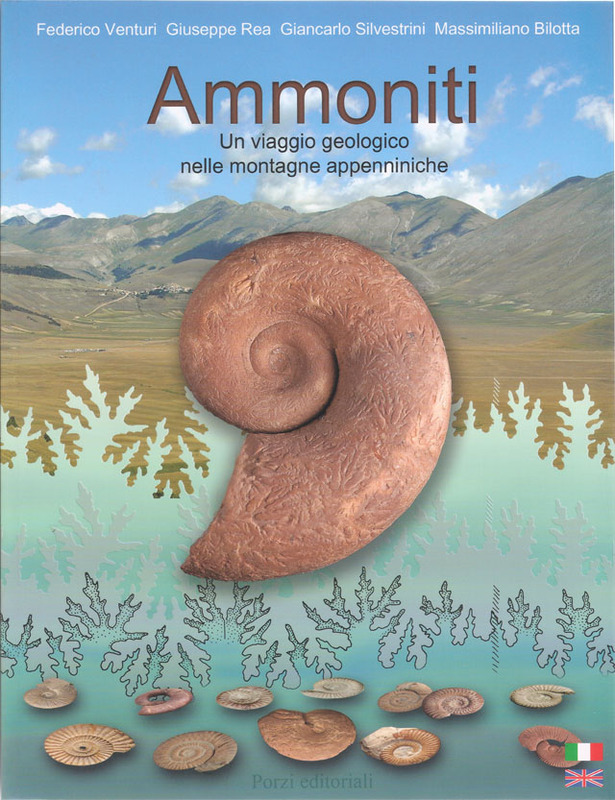 Ammoniti, un Viaggio Geologico Nelle Montagne Appenniniche ("Ammonites, a Geological Journey in the Mountains of Appennino") can be ordered by email.